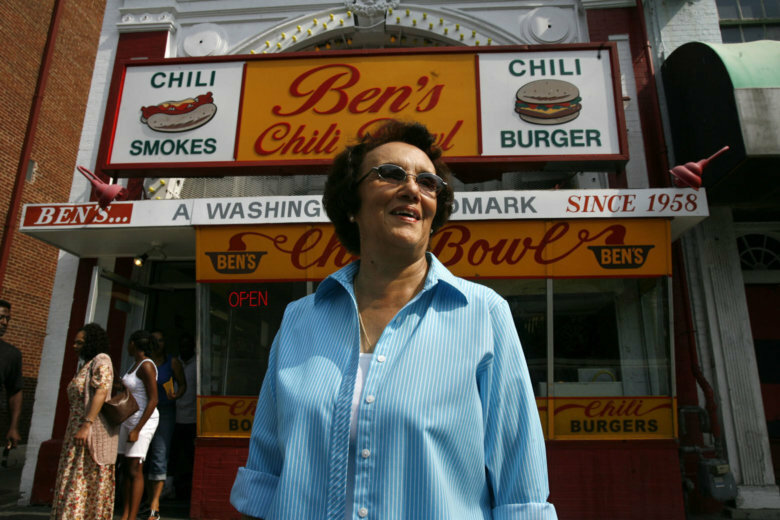 Ben’s Chili Bowl, which has anchored D.C.’s famed U Street for 60 years, sat in the heart of an area that would be ravaged by rioting after the assassination of Dr. Martin Luther King. But Ben's survived the riots and the long years of decline in the 1970s and 1980s. Virginia Ali, now 84, who started the restaurant with her husband tells Ben's story as part of the series "DC Uprising: Voices from the 1968 Riots." This story is part of the WTOP series “DC Uprising: Voices from the 1968 Riots.” Each day this week, we’ll tell the stories of the upheaval and tumult 50 years ago through the eyes of those who experienced it. WASHINGTON — Ben’s Chili Bowl, which has anchored D.C.’s famed U Street for 60 years, has long been the city’s favorite spot to score some half-smokes after a night out on the town. But there’s a lot of history in those celebrity-photo-bedecked walls and unassuming Formica countertops. The restaurant was the favored place to grab a quick bite to eat back when U Street was Black Broadway, drawing glittering entertainers to one of three major theaters in the area. During the riots, Carmichael helped secure special permission for Ben’s to stay open to feed activists and police alike. Ben’s would ultimately survive the post-riot decline and decay that plagued U Street in the 1970s and 1980s to become the D.C. landmark it is today.